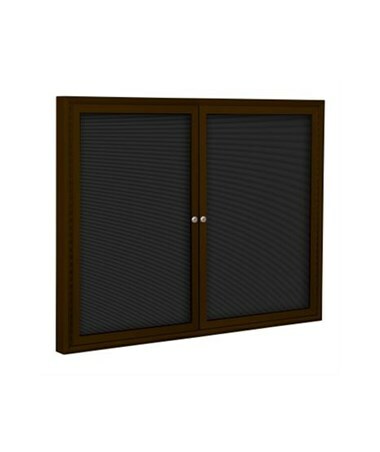 The MooreCo 2 Door Indoor Enclosed Directory Board Cabinet is an enclosed bulletin directory board cabinet with an internal depth of 2". 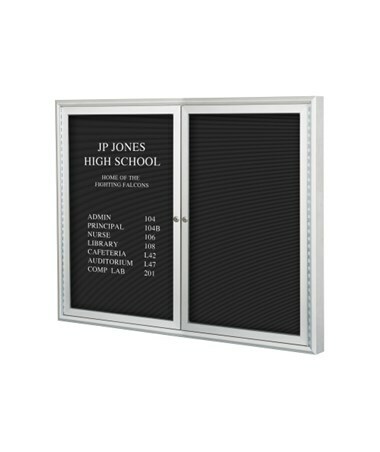 The directory bulletin board back panel is made of grooved black felt to hold letters securely in place. The bulletin is framed in heavy gauge anodized aluminum in a choice of elegant colors. The tempered glass doors are 3/16" thick and lock to help prevent tampering. The panels are shatter-resistant, clear and acrylic. The directory board consists of two doors. Included is a set of 300 letters,numbers, and punctuations in order to display important news,announcements and information. We offer theIndoor Directory Boardin a choice of two sizes and two trim colors. Please select from thedrop down menu above. With top of the line quality and amazing value theIndoor Directory Board is the simple choice. 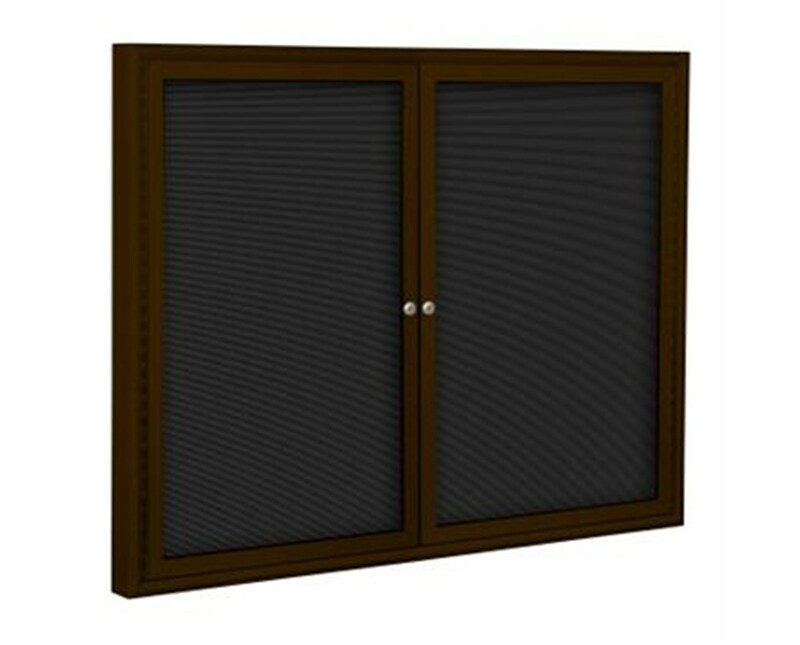 The MooreCo 2 Door Enclosed Indoor Directory Board Cabinet is TAA compliant and backed by a 1 year warranty. 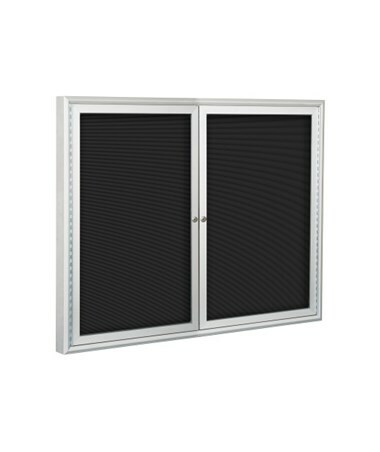 Durable trim frames 2" internal depth. Available in satin silver or coffee colored anodized aluminum trim. Back panel is grooved black felt. Locking hinged doors prevent tampering. Product Weight 39 or 53 lbs.